No word can capture the essence of the Rolex style. A style that comes to life in every watch and makes it unique and inimitable. And that's why we invite you to visit our Boutique to capture the fullest impressions and emotions of the Rolex world. Immersed in an atmosphere that has the taste of a past life, made inimitable by a unique and unrepeatable context, an integral part of an architecture that challenges the laws of nature, the Rolex boutique in Firenze is the result of a perfect alchemy between elegance and dynamism, respect for the past and avant-garde, courtesy and hospitality. 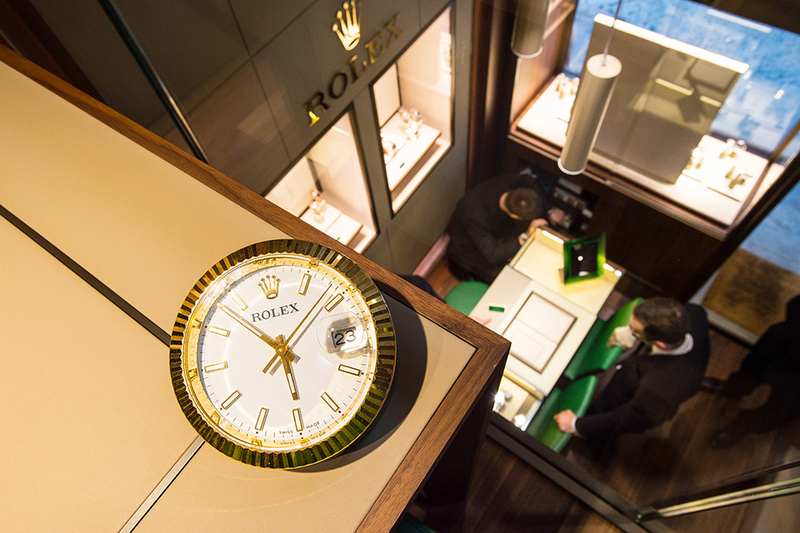 The boutique is organized on three floors: the ground floor dedicated to the sale with three showcases; The first floor with two private storage rooms, the second floor where there is a well-equipped service center where our Rolex certified technicians are at your disposal for the "care" of your precious timepiece.